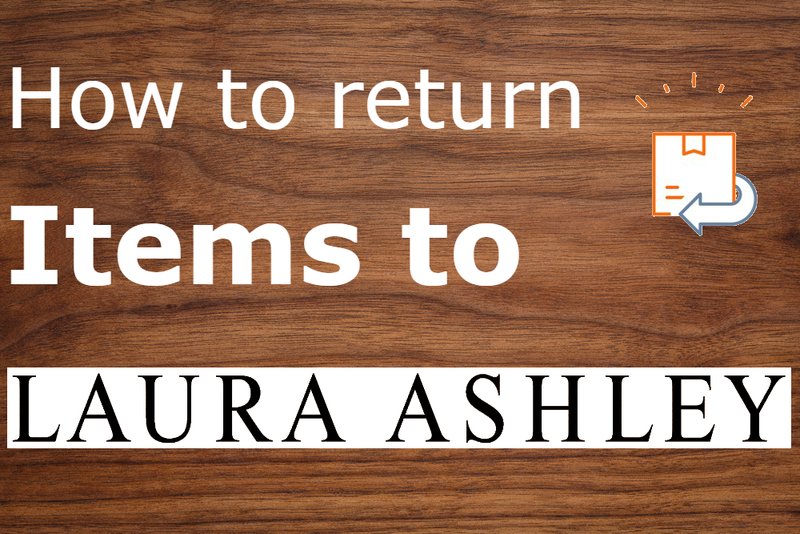 You can follow the guide below to find out more about Laura Ashley Returns including their returns policy and the different ways you can return their products for a refund or exchange. For your items to be valid for a return they need to be unopened and unused in their original packaging and accompanied with a receipt or dispatch note as proof of purchase. You need to return your product within 28 days of purchase. If your product arrived damaged or faulty you can return it without the above conditions but you still need proof of purchase and return it within 28 days of purchase. You can return products you bought online or in-store by going to your local Laura Ashley home store unless it is furniture or upholstery. Garment stores only accept the return of garments and home furnishing stores will only accept the return of home furnishings. You just need to return to the store within 28 days of purchase with your item in an unused item that is in the original packaging (unless it is faulty) with the receipt or other proof of purchase to receive a full refund in the same method you used to pay for the item originally. You will need to go to your local post office to post the item if it is too large to go into a letter box, you should only use the normal post method for smaller items including small lighting, soft furniture, small mirrors, gifts/accessories, small prints and small HF items. If your item is larger than this you need to use the below method. If your item is too large to be sent via post office you will need to have the item collected via a courier. You need to ensure you keep proof of postage which should be given to you by the courier. You can call 0843 557 4802 to arrange a pick from a Laura Ashley courier service. You will be charged for the courier collection if you’re asking them to pick up an item that could be returned via post office (this cost will be £8-£60). You can use courier return service to return items such as curtain poles, large mirrors, blinds, large heavy curtains, large rugs, large prints, large lighting and self-assembly furniture. You have 14 days to return your upholstery or furniture from the day you receive it. The item must be in good condition and will be collected by Laura Ashley’s courier service, you will be charged £60 for a non-refundable collection and delivery rearrangement. To organise the collection of your upholstery or furniture that you wish to cancel you need to call the Laura Ashley customer service on 0843 557 4802.